I am reading this forum from July 2006. 1000 injections had to be done in phase 2. 900 hundred in a thinning zone. 100 in a TOTALLY BALD zone. So it’s fully working…even if you have 80%…of regrowth. IMHO. Well, the argument here is that if the injected area was completely bald, then the percentages certainly can’t be based on the number of existing hairs. So what else can the percentages mean? » hairs. So what else can the percentages mean? If Kemp explained the Phase II correctly, we can be sure. » » hairs. So what else can the percentages mean? And… don’t you think this to be “encouraging”??? So if the injected areas were bald, why shave them prior to injection? What happened to all the people on this forum who were emailing and phoning ICX to ask them all sorts of questions? I think someone needs to contact ICX and ask what the percentages mean. » So if the injected areas were bald, why shave them prior to injection? » contact ICX and ask what the percentages mean. All the people.All amounted to me and baccy phoning the Farjo Clinic,thats all.I’m not phoning them again.They now tell you nothing. 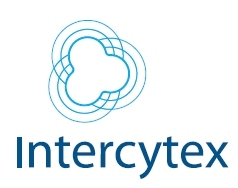 Intercytex have answered peoples emails in the past,but they tell you nothing now,too. WHY DON’T YOU PHONE THEM…I HAVE THEIR PHONE NUMBERS. » » So if the injected areas were bald, why shave them prior to injection? » » » So if the injected areas were bald, why shave them prior to injection? » It would be great. maxolt, questo forum e’ molto bene informato. sono un admin ed un mod delle sezione hair multiplication di bellicapelli. i’m one of the Admin and mod of HM section of bellicapelli. » WHY DON’T YOU PHONE THEM…I HAVE THEIR PHONE NUMBERS. If they tell nothing now, why would I bother… And there’s no need to shout, really.